Another great Shopify Meetup Long Beach event! A big thank you to everyone that was a part of the event. We hope you walked away having made new friends, learned something valuable and had fun! Everyone learned a lot about how to increase their sales by expanding into international markets, demystifying the exporting process and some much needed information about GDPR. ECommerce Export Resource Center - Largest collection of cross-border ecommerce resources for U.S. businesses selling through B2C and B2B ecommerce sales channels. 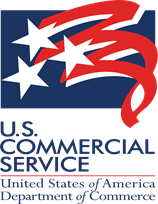 Videos, guides and much more - courtesy of the U.S. Commercial Service. CMTC Events & ExporTech program - helping you increase your sales and expand your export reach. Identify Your Commodity Classification - Schedule B is a 6 digit international export code for exporting goods out of the United States. Privacy Shield Framework - Framework to help you comply with data protection requirements when transferring personal data from the European Union and Switzerland to the United States. BEAM Program is brought to you by California Centers for International Trade Development (CITD) Long Beach City College in partnership with Getting to Global (G2G) to help manufacturers, retailers and branded manufacturers develop a strategy for taking their online business global. BEAM Global E-Commerce Program can take your business more places, connecting you to more opportunities, with more access than ever before. We offer special training series for companies to optimize B2B or B2C e-commerce, engage with foreign buyers, and grow export sales, including e-commerce and performance analysis, online courses, one to one consultation with an e-commerce expert, export trade analysis and more. Learn from the leaders in the space about what is and isn’t working for them and leave with actionable takeaways for your businesses. Established in 1989, the California Centers for International Trade Development (CITD) has offices across the state and provides a full range of trade assistance services to companies and individuals. Getting to Global is a transformational public/private partnership that brings together industry experts, business leaders and government officials to empower your company to sell more online, overseas. Well, that's it for now. Stay tuned for news about our next Shopify Meetup Long Beach by following us on Instagram @ecomflight. Whether you are just checking Shopify out, already a Shopify merchant, provide professional services to e-commerce businesses or a Shopify Partner or Expert. Everyone is welcome! We will have beverages including beer on tap and also have complimentary snacks available from a local Shopify merchant - Burnin' Beak! They have the best pepper jelly! It will be paired with different cheeses, crackers and bread. Be sure to check-in on the first floor near the elevator. Then come on up to the WeWork 3rd floor lounge to enjoy our fabulous food and drinks. ** If you are a Shopify merchant and need help with your business, you can signup to meet with a Shopify Expert/Partner for a quick chat after the talk. They will be able to assist you in all areas of your business. There will be a signup sheet for those interested. We want to help you understand how to export the right way, so you can grow your sales and profits. To get started in the global marketplace, you need to understand how to export the right way. Attend this Shopify Meetup and learn how to assess your global ecommerce readiness, and how to navigate the journey from domestic product to international exported product through the development of your cross-border ecommerce sales channel. Speakers: Cynthia Torres, Senior International Trade Specialist for the U.S. Department of Commerce and Elizabeth Glynn, Export Advisor – ExporTech™ Facilitator for the CMTC®, California Manufacturing Technology Consulting. This is where our speakers will assist a pre-designated Shopify merchant - Jeffrey Adair from Crystal Fortress. They will assist the Shopify merchant who is interested in selling globally and provide real world application of the tips and information covered. Connect with others interested in all things Shopify in a relaxed space. If you signed up to meet with a Shopify Expert/Partner for a quick chat after the talk, you will be introduced at this time. Cynthia Torres has served at U.S. Department of Commerce; International Trade Administration’s U.S. & Foreign Commercial Service, since 2001 and is part of a global network of professionals charged with assisting American businesses in selling their goods & services overseas. Ms. Torres has served as a USEAC Director, Global Energy Team Leader, and Acting Principal Commercial Officer in Guadalajara, Mexico. She also performed temporary assignments in SelectUSA’s foreign direct investment unit. Ms. Torres is currently based in Los Angeles and detailed to the Commercial Service’s eCommerce Innovation Lab. The lab is aimed at developing digital tools and strategies in support of U.S. exporters and their ability to create sustainable a cross-border ecommerce sales channel. Elizabeth Glynn facilitates ExporTech™ programs throughout Southern California. A global operations and business development professional, Glynn has worked with companies in export operations, compliance, trade finance, and global logistics with the objective of accelerating companies’ investment in exporting and maximizing their competitive advantage in global markets. Initially having worked in global logistics and sales, Glynn transitioned from global transportation to managing the export operations for a company. Glynn streamlined the global logistics infrastructure; managed export, import, foreign-based transactions; facilitated multi-country shipments, free trade zone projects; and negotiated letters of credit. She achieved seamless in-transit logistics movement of 3rd country shipments; and, secured resolution of a six-figure transshipment cargo insurance claim. Glynn has interfaced with a diverse range of companies that includes working with program units for a defense contractor to provide export training and facilitate global delivery of communication systems to establishing export operations for a medical device manufacturer. Since 1998 Glynn has taught courses in global business management, leadership, and ethics at the University of La Verne (MBA), and a number of global courses at UCLA Extension including global logistics and fundamentals of international trade. She has developed and presented customized programs at UCLA Extension and UC Riverside. Glynn holds a Master of International Management (MIM) degree from the Thunderbird School of Global Management and a Bachelor of Arts (BA) degree in Linguistics from UC Irvine. Jeffrey Adair is the founder of Jordan River Industries LLC, the parent company of Crystal Fortress, which specializes in producing modular acrylic display cases for the gaming community. He is the principal of JSA Design, a small studio that offers design services, and specializes in producing models for architectural and design firms. His professional experience includes hospitality, educational, and residential design, with positions held at Wimberly Allison Tong & Goo, Gensler, Pica + Sullivan Architects Ltd, and Yates Associates. He is a full-time lecturer in the Department of Design at California State University of Long Beach, and has taught Interior Design at Santa Monica College, Long Beach City College, and Mount San Antonio.